Have you ever had exceptional nursing care? Let that special care provider know by nominating them today! By nominating an exceptional nurse, you join March of Dimes in honoring the nursing profession and the tireless efforts of those dedicated to their patients. We have 25 diverse nursing categories ranging from Advance Practice to Women’s Health for you to choose from. NOMINATIONS ACCEPTED: April 1 - June 30, 2019 SUBMIT NOMINATIONS: nurseoftheyear.org/ohio 2019 Ohio Nurse of the Year category winners will be announced at an awards luncheon on Friday, November 1 at the Hyatt Regency Columbus. Central Ohio’s most-read arts and entertainment magazine! Ask about our FREE truck rentals! Healthy New Albany Magazine www.HealthyNewAlbanyMagazine.com Discover Grove City Magazine www.DiscoverGroveCity.com The Publisher welcomes contributions in the form of manuscripts, drawings, photographs or story ideas to consider for possible publication. 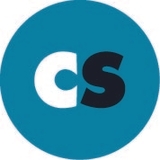 Enclose a SASE with each submission or email ncollins@cityscenemediagroup. com. Publisher does not assume responsibility for loss or damage. The appearance of advertising in Pickerington Magazine does not constitute an endorsement of the advertiser’s product or service by the City of Pickerington. 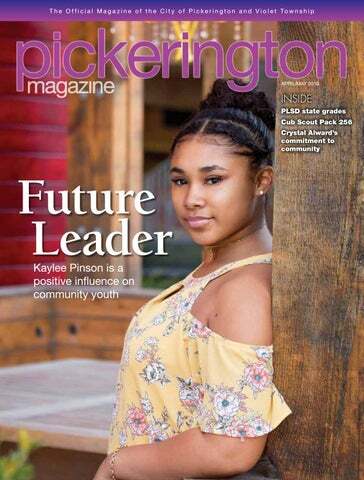 Pickerington Magazine is published in June, August, October, December, February and April. Subscriptions are free for households within the city limits of Pickerington, Ohio. For advertising information or bulk purchases, call 614-572-1240. No part of this publication may be reproduced without the written consent of the publishers. Pickerington Magazine is a registered trademark of CityScene Media Group. Printed in the U.S.A. © 2019. 9 a.m.-8 p.m., Pickerington Public Library, 201 Opportunity Way, www.pickeringtonlibrary.org The Friends of Pickerington Public Library is holding a book sale at Pickerington Main. A variety of books, CDs, DVDs and vinyl albums will be on sale. 8-9:30 a.m., Pickerington Public Library, Sycamore Branch, 7861 Refugee Rd., www.pickeringtonchamber.com This free recurring event provides great networking opportunities and insight into the business world. 7 p.m.-midnight, Combustion Brewery and Taproom, 80 W. Church St., www.pickeringtonvillage.com Team Pickerington Pelotonia is hosting a lip sync battle at Combustion Brewery & Taproom. All funds will go toward cancer research. with Dwayne R. Spence Funeral Home, raises money for Pilot Dogs Inc. Participants are encouraged to bring their dogs. 6-7 p.m., Sycamore Creek Park Arboretum, www.pickeringtonvillage.com Pickerington Parks and Recreation presents its community chorus, color guard and the winners of the third grade essay contest to celebrate Arbor Day. 4-8 p.m., 80 W. Church St. in The Loft, Combustion Brewery & Taproom, www.pickeringtonvillage.com Sponsored by the Pickerington Village Association, Combustion Brewery & Taproom is providing a venue for local vendors, artisans, farmers and bakers to sell fresh produce, baked goods and souvenirs. There will be free cookie decorating for kids as well as a meetand-greet with the Easter Bunny. 4-8 p.m., April 12; 10 a.m.-5 p.m. April 13, Fairfield County Fairgrounds, 157 E. Fair Ave., www.thevintageandmademarket.com Hosted each spring, the Vintage & Made Market brings 100-plus vendors to the historic grounds of Fairfield County Fairgrounds. This event will include a variety of food trucks, live music and vendors from across the Midwest. Mondays, 5:45-6:45 p.m., Peace United Methodist Church, Rm. 6, 235 Diley Rd., www.thecalmdragon.com All students start in this beginner, selfdefense class designed to teach the foundations of Poekoelan Kung Fu. They learn how to roll and fall without injury, 55 self-defense holds and basic strikes, kicks and parries. Tuesdays, 6-7 p.m., Peace United Methodist Church, Rm. 17/18, 235 Diley Rd., www.thecalmdragon.com Poekoelan Kung Fu is an Indonesian/ Chinese martial art that will teach you a foundation in fighting and self-defense from stand-up to ground techniques along with several self-defense holds forms and stances. 7:45 a.m.-1 p.m., Zion Church, 5780 Reynoldsburg-Baltimore Rd., www pickeringtonchamber.com The Pickerington Area Chamber of Commerce brings in speakers for a day of professional development for local and regional small business owners. This event will feature several topics including company culture and business as your legacy. 8:30 a.m.-2:30 p.m., Superior Beverage Group, 8133 Highfield Dr., Lewis Center, www.pickeringtonchamber.com The Driven Leadership Conference answers the question, “What drives you?” It provides ways to enhance your leadership, motivate and develop the mindset required to become an excellent leader. 10 a.m.-3 p.m., Pickerington-Violet Township Historical Society Museum, 15 E. Columbus St., www.pickhistory.org The Pickerington-Violet Township Historical Society Museum will be free and open to the public. This year’s open house will April 25-28 feature local artifacts, from American Indian Pickerington High School tools and weapons to Pickerington’s first North Theatre presents town pump. Mark your calendars for these community events 7800 Refugee Rd., www.picknorththeatre.com Pickerington North’s student actors present the world-renowned play, Mamma Mia! for its spring musical. This smash-hit musical features ABBA’s greatest hits and a captivating story of friendship, love and music. 7 p.m., April 26; 10 a.m. April 27, Epiphany Lutheran Church, 268 Hill Rd. N., www.pickeringtoncommunitytheatre.org Pickerington Community Theatre is holding auditions for its summer production of Spamalot. 11:30 a.m., Jefferson Golf & Country Club, 7271 Jefferson Meadows Dr., Blacklick, www.vtwl.org This 20th annual Violet Township Women’s League event, which features a luncheon and raffle in addition to the style show, raises money for the league’s community service scholarship fund. 6-10 p.m., Columbus Zoo and Aquarium, 4850 W. Powell Rd., Powell, www.stjude.org Now in its 14th year, this annual event raises money for St. Jude’s Children Research Hospital. It features cocktails, dinner, live and silent auctions, a patient speaker, and a Give to Live event. 3 p.m., Peace Lutheran Gahanna, 455 Clark State Rd., www. pickeringtoncommunitychorus.com The Pickerington Community Chorus puts on its spring concert. Noon-11:30 p.m., May 24-26, Legend Valley, 7585 Kindle Rd., Thornville www.darkstarjubilee.com The eighth annual Dark Star Jubilee is taking place Memorial Day Weekend. Over the three-day weekend, Dark Star Orchestra headlines with countless other acts bringing the Grateful Dead’s music to life. 10 a.m., Toll Gate Middle School, 12183 Toll Gate Rd., www.tylerslight.com The eighth annual 5K is open to all, raises money and awareness to encourage people to live a drug-free life by spreading its “speak up and save a life” message. 3 p.m., Epiphany Lutheran Church, 268 Hill Rd. N., www. pickeringtoncommunitychorus.com The theme for this year’s concert is big band and swing music. The Tony Hagood Trio will be the special guests. Ticket prices: $10 for adults, $8 for children and seniors. 1 p.m. North, 4 p.m. Central, World Harvest Church, 4595 Gender Rd., Canal Winchester, pickerington.k12.oh.us Members of the class of 2019 at Pickerington’s two high schools turn their tassels. Are you a Senior in need of a little help? Decorative Arts Center of Ohio, 145 E. Main St., Lancaster, www.decartsohio.org This exhibit showcases contemporary masters and emerging artists whose styles range from sculpture and design to painting and fiber art. This collection will highlight art that is relevant to this moment in time as well as varied in style. Do you have an event you would like to submit to our calendar? Send details and photos to ncollins@ cityscenemediagroup.com. as it pertains to economic development and guide future growth,” says City Manager Frank Wiseman. Gulden adds, “Where I came from was regional planning – it’s very spread out. This is a great opportunity to focus on one city and I’m looking forward to continuing the great things I already see happening in Pickerington.” One of the top priorities for Gulden is working to develop the 200-plus acres of land the City recently purchased at the intersection of Pickerington and Busey roads. The initial plans call for commercial or industrial development, along with some residential. “We’re going to have to be very strategic with our development. I want to think creatively but I also want to make sure we think about long-term sustainability,” says Gulden. In addition to attracting new businesses, Gulden is also tasked with helping existing Pickerington businesses continue to thrive. “I encourage business and property owners to contact me with issues big and small. Our goal is common sense partnerships.” Dave Gulden can be reached by phone at 614-837-3974 or by email at dgulden@pickerington.net. summer job that I always come back to. The customers have always been a pleasure and I love getting to see the same families year after year,” says returning staff member Mackenzie Puskar. “The staff is always full of amazing people who challenge each other and create an enjoyable work environment. The City is also looking to fill six laborer positions in the Service Department. Applicants must be at least 16 years old. Service workers are provided with uniforms and have flexibility when it comes to working hours. A job with the City of Pickerington, even if seasonally, can earn retirement benefits with the Ohio Public Employees Retirement System. Medinger says it’s also a great resume builder for high school, college and professional positions. To fill out an application, visit www. pickerington.net. Park Rules 1. Park open from dawn to dusk. 2. Damaging or removing park property, natural features and wildlife is prohibited. 3. No littering or dumping. 4. Loud and disruptive behavior is prohibited. 5. Advertising or commercial enterprise requires permission from the city manager. 6. No camping without a written permit from the city manager. 7. No fires except in designated areas. 8. Hunting and trapping is prohibited. 9. Pets must be on a leash no longer than 6 feet at all times and owners must pick up after their pets. 10. No swimming, wading, or boating. 11. Catch and release fishing only. 12. No motorized vehicles except in designated areas. 13. Alcoholic beverages are prohibited. Violation of any park rule may lead to ejection from the park or prosecution under the laws of the City of Pickerington. For a complete list of facilities available to rent, visit www.pickerington.net. citydirectory Pickerington City Hall, 100 Lockville Rd. plete training in some facet of EMS. These training opportunities count as hours towards each member’s re-certification. Every two years our department has a paramedic refresher class. This class is 48 hours long and these hours count toward re-certification. The department recently created and filled an EMS coordinator position. One of the duties of the coordinator is to oversee the department’s EMS training. This assures that our paramedics are continually receiving the latest, most up-to-date training. As you can see, your Violet Township Fire Department encourages and expects our paramedics to remain highly trained and competent. Our service to you is dependent upon this commitment. As the fire chief, I, like you, will continue to expect nothing less. If you have any questions concerning our EMS service, call 614-837-4123. As always, we are your friends for life. tion about prescription drug disposal. Call Chad Reed with Litter Prevention and Recycling at 740-681-4423 with any electronic recycling questions. For those unable to attend this event, a drop-off box for prescription drugs is available at the Pickerington Police Department located at 1311 Refugee Road. Needles and liquids are not permitted for disposal. We look forward to seeing everyone on Saturday, April 27 as we continue to rid Pickerington and Violet Township of unused medications. The proposed site plan shows the community center being constructed at the southeast corner of Refugee and Pickerington roads. The Township Trustees have entered into a memorandum of understanding with the Ricketts Family for the donation of 30 acres for the proposed community center. The area also has room for potential economic growth that may be spurred from the construction of a community center. The proposed levy, based upon the 2019 Estimated Property Tax Valuation, would be $13.39 monthly for a $100,000 home per the appraised value on the Fairfield County Auditor’s website. The above table illustrates the yearly costs to homeowners with appraised values in $50,000 increments. Additional information on how to calculate the annual homeowner cost along with the feasibility study and other information can be found at www.investwithviolet.com. The project will be a communitydriven project. The residents will decide at the ballot box, if this facility will move from concept to final design and construction. If the May 7 ballot tax levy passes, Violet Township staff will begin the process to finance, design and construct the facility. It is expected that the community center would be open to the public in 2022. A D J A C E N T RO A D W AY 1 0 0 ’ R . 0 . W.
1 0 0 ’ R . 0 . W.
Alward attributes her baking success to her customer relationships. She ran Cakes Creatively out of her home kitchen for the last 13 years. Her strong customer base is evident, as she makes more than 100 wedding cakes a year with specialty cakes and pastries as an addition. These relationships are what she hopes to instill in her new business at Porter’s. No matter how many goals Alward checks off her list, she always finds another to work toward. “No matter all the goals that I set, once you hit one, you just make another one,” she says. Alward graciously accepts the challenges of a new business and isn’t opposed to change. One of those challenges was making the decision to open Porter’s. After Crystal and Dan landed on the idea of a coffee shop, they knew they needed to make both a business – and life – decision that would direct the next path. They knew the coffee market had grown the last few years, and opening a coffee house felt like the next step. The couple began to visit every coffee shop in Columbus and worked to secure a positive and supportive coffee distributor. Their sights led them back to Pickerington and working with One Line Coffee. Alward and Dan didn’t just choose to station in Pickerington because it was close to home, but because Alward grew up working jobs in Pickerington, and they enjoyed visiting the city. “We kept coming back here. …It’s not far from home, and we have friends in Pickerington,” she says. Like most things in life, there were challenges Alward and Dan faced during the process, but the couple finally closed on the renovated home on West Church Street in August 2018. In addition to Dan’s firefighting career, his furniture business has also helped develop the interior of the coffee and bakery shop. Co-workers, friends, and family have all contributed to the Alward venture and the renovation is a way to capture the couple’s true essence: bright furniture colors and mixed metals layered on elements of natural wood, concrete and brick. Alward continues to instill her personal values – uniqueness, taking risks, embracing challenges – into the business at Porter’s and, so far, it seems to be paying off. “If you don’t take that chance, there’s no great reward without a great risk,” she says. Kim Brown is a contributing writer. Feedback welcome at feedback@ cityscenemediagroup.com. Superintendent Briggs believes in open lines of communication with the community. “We believe it’s very important to create an environment where parents feel comfortable in our schools,” Briggs says. “They can also go to our website and share feedback. When we have gatherings, I often ask how many of those present are Pickerington graduates, and how many grads are parents of students in our schools. The response is amazing, about 70 percent. This indicates to me that they believe in the quality of our schools. We are committed to providing great schools and working for continual improvement.” For more information about PLSD, visit the Pickerington Local School District website at www.pickerington.k12. oh.us. For more information about the Ohio State Report Card, visit the Ohio Department of Education website at reportcard.education.ohio.gov. Brenda Layman is a contributing writer. Feedback welcome at feedback@ cityscenemediagroup.com. BANK • BORROW • MANAGE • PLAN • PROTECT Disclosures are available by calling the telephone number listed in this ad for details about credit costs and terms. At England Insurance, we are a part of the Pickerington Community and are honored to continue to be a trusted resource. Call us today and live life covered! dens to achieve different rank requirements and learn special skills. Those activities include camping, hockey games, bowling, pumpkin carving, collecting supplies for local food pantries and special events like Christmas parties, the Pinewood Derby, the Blue and Gold Banquet and the Memorial Day Weekend March. Additionally, once a month, the entire pack meets together to give out awards and work on a special hands-on project that gives the different dens time to bond. Meyer says the pack’s co-ed initiative teaches the kids important lessons in diversity and inclusion, which is important for social development. “It allows the kids to interact equally and learn on the same level,” he says. “It’s a great way for young boys to interact and learn to treat young girls as equals.” Meyer first got the idea to volunteer as a leader when his oldest son decided to join as a Wolf Scout. Meyer’s son loved it so much that his younger brother also joined, and that’s when Meyer decided to become more involved. “My wife and I fell in love with it and I really wanted to be involved because (Cub Scouts) was something that I didn’t get to do as a kid,” he says. “I always try to have a smile on my face and provide a warm welcoming environment for the kids. I always want them to have fun and enjoy the activities while they learn new things. It’s awesome to see them grow while they learn.” Besides being able to watch his sons grow within the program, Meyer has been impacted by his role as a leader and encourages other parents to get their children involved in a program like Cub Scouts as well. “Since becoming a volunteer, I have learned to always be patient and be willMyriad skills are learned via Cub Scouts and everyone, boy and girl, has that opportunity. Larry and Dan are with Chris Owen, who currently is the director of quality and management for Gionino’s and was the manager at the Gionino’s location in Munroe Falls when Larry and Dan worked there in high school. Dan (second row left) and Larry (second row, middle) in grade school. yeast bloom for 15 minutes. Stir in 1 cup flour, add salt and then stir in another cup of flour (the remaining cup of flour will be your “bench” flour and added flour). Dump mixture onto kneading board and work in last cup of flour, kneading until dough is soft and elastic, but not sticky. Form dough into a ball. In another bowl, pour in the 1 tbsp olive oil and spread around. Coat ball of dough with oil and cover bowl with a damp towel and let dough rise for 40 minutes. Punch down dough and knead on board for about two minutes. Dough is now ready to spread in the pan. To avoid sticking of crust, lightly spray pizza pan with olive oil or vegetable oil spray and then work dough to pan (or use free form pan) – this dough is enough for one 14inch pizza with a thin bottom crust and enough dough around the edge to munch. Sauce and Bake: Combine pureed tomatoes, tomato paste, minced garlic and basil. Spread onto prepared pizza dough. Top with sliced mozzarella cheese and bake at 500°F for 11-13 minutes. Dan Shackelford was a turboprop mechanic during his time in the air force. Shackelford added that seeing their business owner goal come true is a fulfilling feeling. “It’s been extremely satisfying,” says Shackelford. “For me, at least, this is what I thought it would be. It’s nostalgic.” Ryan McGlade is a contributing writer. Feedback welcome at feedback@ cityscenemediagroup.com. Student Spotlight features a student from a different area high school in every issue. Pinson has accrued well over 700 hours of community service. As a painter and comic artist, Bryan Moss thinks of himself as a conduit for the community. His painting gives him a “global” voice – and social media allows him to respond directly. And it begins right here in Columbus. There’s no place he’d rather make his art. Pinson will attend Clark Atlanta University upon graduating from Pickerington Central High School. Around Pickerington Want your snapshots to appear in print? Send your high-resolution photos to pickeringtonmag@gmail.com along with your name and a caption! Contact Gianna Barrett today for great rates! et your course this summer for A Universe of Stories! Held at all Pickerington Public Library locations, sign up begins Tuesday, May 28. Final day to turn in reading records is Saturday, Aug. 10. Summer Reading Kickoff Saturday, June 1 2019 at 1 p.m. Visit Pickerington Main to blast off on your summer reading mission with The Shazzbots, an intergalactic rock’n’roll band and champions of music, art, science and everything creative! Led by Captain Captain, this five-member band from outer space will get you dancing in your moon boots. Bring a lawn chair or blanket to Pickerington Main and enjoy this all-ages show; no registration required. Dragon Pearl by Yoon Ha Lee Grades 4-7 For fans of Rick Riordan, space adventures and mythology. Min, a 13-year-old girl with fox magic, stows away on a battle cruiser and impersonates a cadet in order to solve the mystery of what happened to her older brother in the Thousand World Space Forces. National Geographic Little Kids First Board Book of Space by Ruth Musgrave For everyone! You’re never too young to start learning. Counting on Katherine: How Katherine Johnson Saved Apollo 13 by Helaine Becker Picture book biography. Grades K-3. The bold story of an AfricanAmerican mathematician who worked for NASA during the space race and was depicted in the film Hidden Figures, and how she made sure the crew of Apollo 13 returned home. Solar System: Our Place in Space and Wild Weather: Storms, Meteorology, and Climate Grades 3-5 For graphic novel fans who like learning about science. Get ready to explore the depths of the ocean, the farthest reaches of space and everything in between! These gorgeously illustrated graphic novels offer wildly entertaining views of their subjects. Whether you’re a fourth-grader doing a natural science unit at school or a 30-year-old with a secret passion for airplanes, Science Comics is for you! The Lunar Chronicles by Marissa Meyer A young adult fantasy series from the universe of Marissa Meyer, in which old fairy tales take on a futuristic twist and humans, cyborgs and androids coexist. Mount Carmel has relocated our longstanding and expert trauma program to Mount Carmel East, bringing trauma care to Columbus’ east side communities for the very first time. That means immediate access to the equipment, specialized resources, and a highly trained, multi-disciplinary team of surgeons, physicians, nurses and staff that can handle any severe injury. We’re the first and only health system with a significant trauma presence on Columbus’ east side. And we did it for the same reason we do everything at Mount Carmel. Because of you.